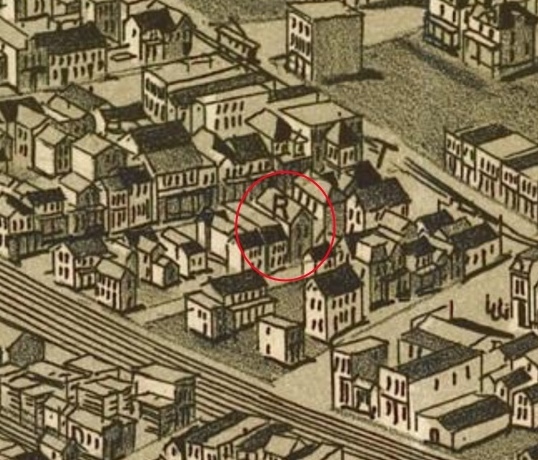 This close-up of a 1902 map of Homestead provides the only known rendering for what the first synagogue might have looked like. 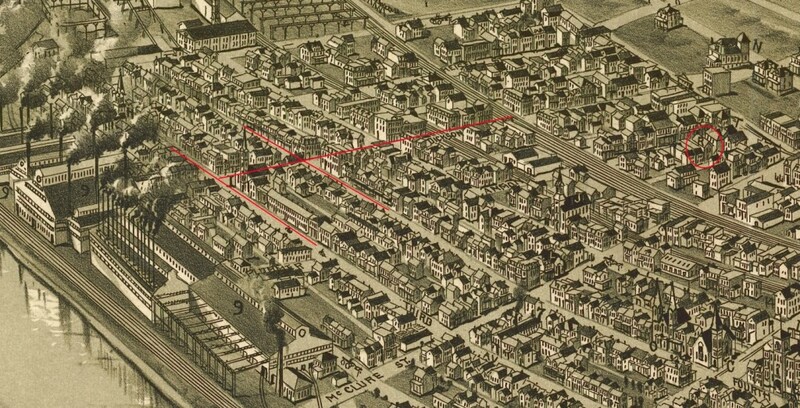 (Source: Panoramic map of Homestead, PA, 1902. I would highly recommend clicking through to explore the whole map — it’s pretty cool!) 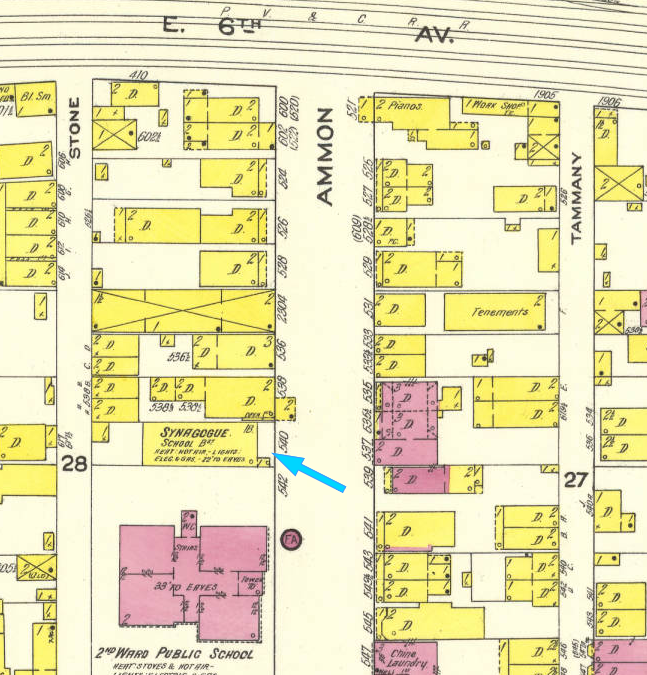 Homestead’s city directories list its address as 540 Ammon St. 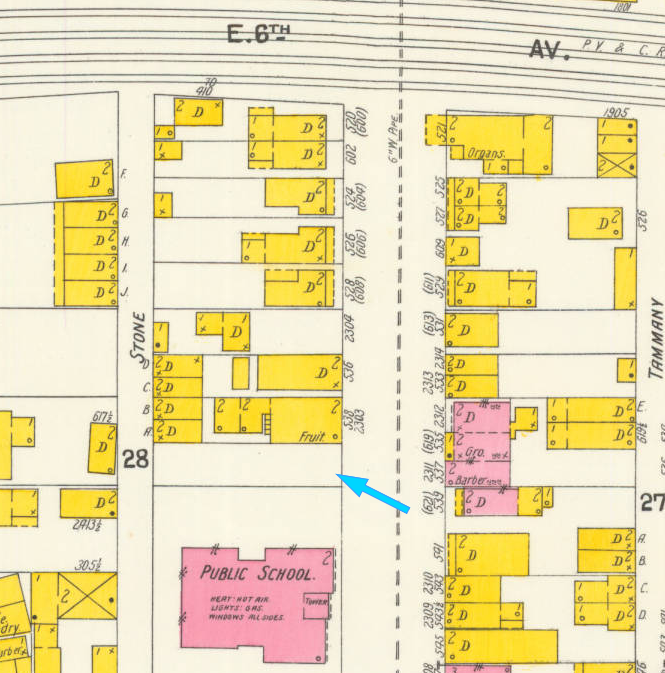 The May 1901 map of Homestead shows an empty lot of land where the first synagogue will be built. 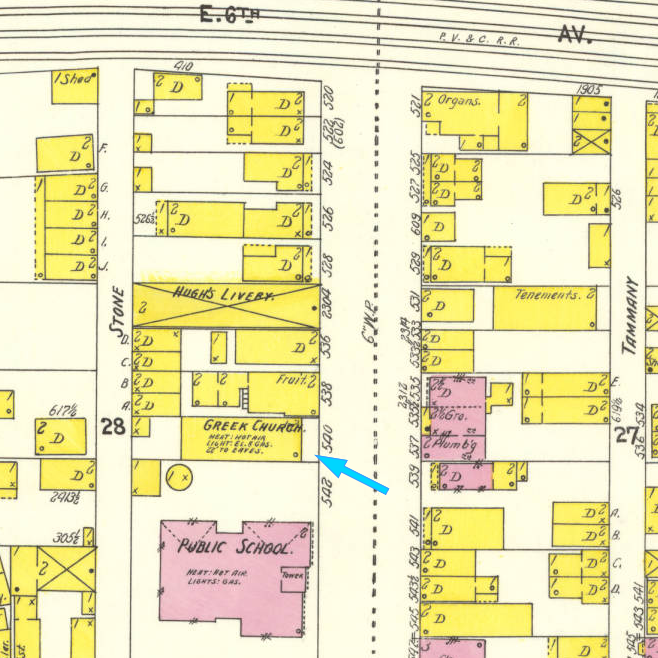 For context, the lot was purchased two months before this map, the cornerstone was laid three months later, and the synagogue was dedicated in March of the following year.